A physician must order the Cunningham Panel™ of tests before we can process your specimen. We have a secure Physician’s Portal for your physician to order this panel under the “Physician Resources” tab. When your physician places your order online, you will need to provide them with your contact information and mailing address. We will then ship you the collection kit and you will need to take these materials to a location that will draw the blood specimen. The Specimen Collection Kit will be sent via FedEx 2-day Air, and may require about 2-3 business days to arrive, depending on your location. Your physician will draw the blood, or they will refer you to another phlebotomy service. WHO CAN BE TESTED? IS THE TESTING LIMITED TO ONLY CHILDREN? We do not have any age restrictions for testing. However, your physician will still need to order the test before we can process your specimen. DOES MY CHILD NEED TO BE SYMPTOMATIC OR BE IN A “FLARE” IN ORDER TO BE TESTED? Your child does not need to be symptomatic to be tested, however, the decision to test at a particular time should be discussed with your physician. It is possible that when a child is symptomatic, there may be increased correlation with elevated autoantibody titers. ARE THERE ANY MEDICATIONS OR TREATMENTS SUCH AS ANTIBIOTICS, STEROIDS, IVIG AND PLASMA EXCHANGE THAT WILL INTERFERE WITH THE RESULTS OF THESE TESTS? Certain immune modulatory therapies can alter testing results. These include steroids, IVIG and Plasma Exchange. For this reason, we recommend that a time lapse of at least 6 weeks occur between the last treatment and drawing blood for the Cunningham Panel™ although timing of the test is best determined by the ordering prescriber. We are currently unaware of any antibiotics or psychiatric medications that interfere with the results of the Cunningham Panel™ of tests. WILL THE CUNNINGHAM PANEL™ OF TESTS BE FOR JUST PANDAS OR WILL IT ALSO TEST FOR PANS? PANS and PANDAS are clinical diagnoses rather than laboratory diagnoses at this time. The Cunningham Panel™ will test for autoantibodies against four neurologic receptors/antigens and for activity in a cell stimulation assay. These autoantibodies have been associated with both PANS and PANDAS. The term “PANDAS” indicates that the infectious agent is related to a streptococcal infection. At this time, we will not be testing for streptococcal infection or anti-streptococcal antibody titers. 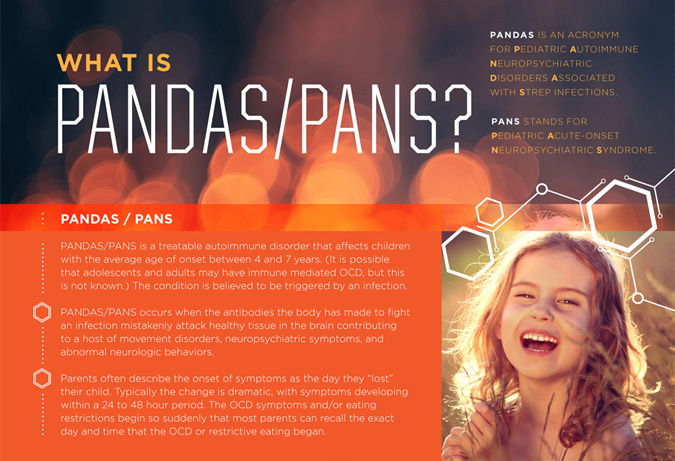 The term “PANS” indicates that the origin of the neurologic condition is undefined. Our current testing will be focused on the anti-neuronal antibodies and their associated neuronal cell stimulation found in both PANS and PANDAS. WHAT DOES IT MEAN IF ALL MY RESULTS COME BACK IN THE NORMAL RANGE? If all your results come back in the normal range, it does not necessarily mean that your child does not have PANS or PANDAS. Test results can be affected by the condition of the patient at the time the patient’s blood was drawn, and whether the patient has been on immunomodulatory treatments. In addition, the current Cunningham Panel™ is comprised of 5 tests, and there is a possibility that additional neurologic antigens/receptors that are not yet identified, may be involved in this condition. We are actively researching other potential autoimmune neurologic targets. Because PANS and PANDAS are clinical diagnoses and not laboratory diagnoses, it is important that your physician weigh the clinical symptoms with the laboratory results in making a diagnosis. The Cunningham Panel™ consists of 5 high complexity tests which require approximately 2-3 weeks to process. One assay requires a lengthy cell culture process. Initially, we estimate that turnaround time for testing (from receiving a specimen to having results available for your physician on the secure Prescriber Portal) will be approximately 2-3 weeks. We will strive to reduce the turn-around-time for testing, including adding additional staff as soon as possible. Thank you for your patience as we work to shorten the processing time. HOW MUCH WILL THE CUNNINGHAM PANEL™ OF TESTS COST? The total cost of performing the panel is $925. We need to collect a $425 deposit before we can send out a Specimen Collection Kit. The Specimen Collection Kit will be sent via FedEx 2-day Air, and may require about 2-3 business days to arrive, depending on your location. On your behalf we will also bill your insurance provider, and reimburse you if we receive full payment. If you do not have insurance, we need to collect $925 for the testing and report. For more information about insurance, see the FAQ below. Because there are so many different insurance plans, until we bill your insurance provider we do not know if, or how much, they will pay. There are existing billing codes for these assays. 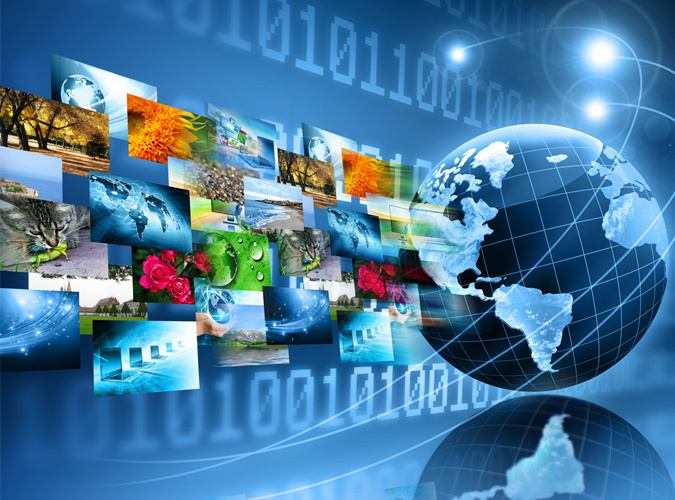 Insurance providers may cover some, or all, of the costs. However, if your insurance company categorizes this panel of tests as “Out-of-Network”, they may apply the testing costs to your deductible, rather than cover the costs. Although we will file your insurance paperwork, we cannot predict what your insurance provider will pay. Therefore, it is important that you provide us with your complete insurance information so that we can do our best to help get the cost of the test covered for you. I RECEIVED AN E-MAIL SAYING MY PHYSICIAN ORDERED THE CUNNINGHAM PANEL™. HOW LONG WILL THIS ORDER REMAIN IN YOUR SYSTEM, AND HOW MUCH TIME DO I HAVE TO PAY THE DEPOSIT? At this time, we will keep your physician order for the Cunningham Panel™ in our system for at least 1 year from the time of the order. However, we will not delete any physician orders without first contacting you, the patient or guardian. Should you decide to wait to have the test performed, you will not need to do anything. Once you are ready to have the test performed, we need to collect a $425 deposit before we can send out a Specimen Collection Kit. The Specimen Collection Kit will be sent via FedEx 2-day Air, and may require about 2-3 business days to arrive, depending on your location. The total cost of performing the 5 tests in triplicate and reporting the results will be $925. On your behalf, we will also bill your insurance provider, and reimburse you if we receive full payment. If you do not have insurance, we need to collect $925 for the testing and report. For more information about insurance, see the FAQ above. WILL THE LAB BE ABLE TO PERFORM THE CUNNINGHAM PANEL™ OF TESTS FOR INDIVIDUALS RESIDING OUTSIDE OF THE UNITED STATES? Yes. International ordering of the panel is done through our partner labs: Academy of Nutritional Medicine (AONM) in the UK and NutriPATH for individuals in Australia and New Zealand. (Please see International Ordering under Physician Resources tab). Unfortunately, we will not be able to do any insurance billing for non-US patients so the cost of testing will need to be covered by the patient. WILL MY (MY CHILD’S) SPECIMEN BE USED FOR FUTURE RESEARCH ON PANS/PANDAS? If you will sign the provided Informed Consent, we will be able to use your sample and results for research purposes and find better ways to diagnose and treat PANS/PANDAS in the future. We cannot use your specimen for future research without your signed Informed Consent. We hope that everyone who requests the Cunningham Panel™ will give us their Informed Consent to use their specimen for future research which will also allow us to contact you in the future about your child’s condition and treatment. This may help us find breakthroughs to better understand this disease and find new ways to test and treat these conditions more effectively. The Informed Consent form will be included in the collection kit. CAN I DONATE TO THE FUTURE RESEARCH ON PANS and PANDAS? IS THERE A WAY I CAN HELP WITH ONGOING RESEARCH?. In order for Moleculera Labs to utilize a portion of the sample for future research purposes, we must obtain Informed Consent from the patient or their legal guardian. We would also like to follow your/your child’s outcome if there is treatment prescribed. If you would like to help us by allowing a portion of your/your child’s sample to be used in future research, and you did not receive an Informed Consent form with your Specimen Collection Kit, you can download the Informed Consent form below. Please retain a copy of the form for your records. Contact us at 405-239-5250 with any questions.